Warm Heart is a community-based development organization serving mountainous, rural northern Thailand. We are located about 75 kms north of Chiang Mai. Launched in 2008, one of our earliest and ongoing programs is our Fashion Accessories Microenterprise. ​Our website is more than just another online webstore. We thought that you would enjoy reading about the behind-the-scenes story of how we work and the challenges of operating a sustainable social cause microenterprise now in its 11th year. Throughout our site you will find stories of the talented local women that we work with in our women's groups, our in-house team, and the volunteers who have contributed to the growth of Microenterprise. Here is an interview with Evelind Schecter, one of Warm Heart’s co-founders, about how Microenterprise began and has evolved. After learning about the care and dedication behind our wonderful creations, we hope that not only will you buy a piece or two to support us, but that you will also pass on the website link to anyone in your network who you think might be interested. One of Warm Heart’s most prized collections is our natural dye handwoven eri silk scarves. Beautiful colors to choose from, with prices starting at $65. Eri silk is only cultivated in northern Thailand and northern India. Unlike most filament silks, eri is spun like cotton, resulting in a soft, fluffy wool-like yarn. ​Eri yarn produces interesting nubbly textures when woven. With proper care, this scarf will age well and give you many seasons of wearing pleasure. Selection of handwoven cotton and rayon scarves using commercially dyed yarn in a fantastic array of fashionable colors and colorways. Prices starting at $17. We also do some natural dyed cotton scarves in soft pastels. Prices starting at $25. 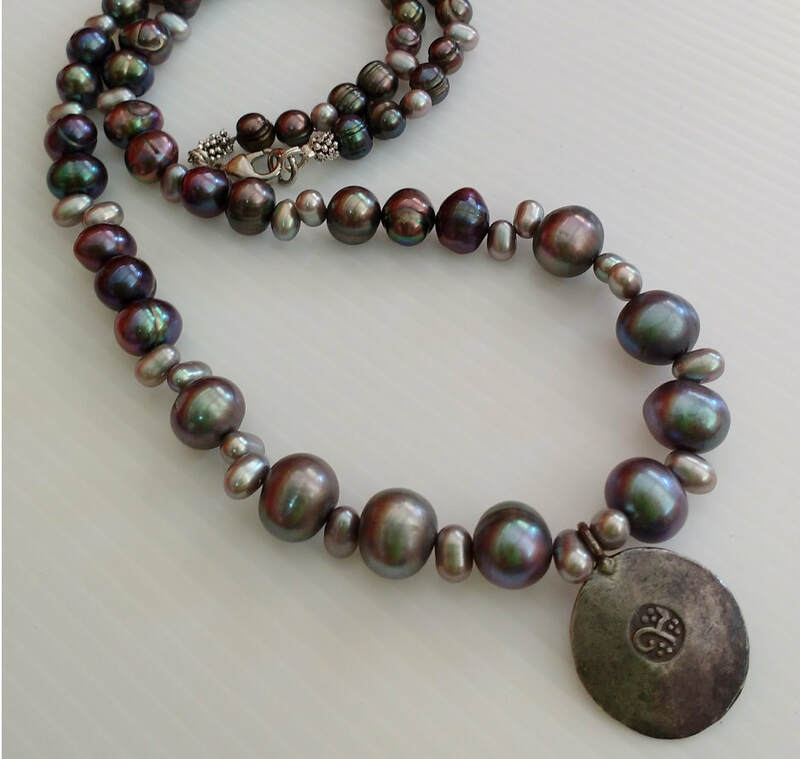 ​We have a new collection of beautiful necklaces from Lisa's Legacy, check them out! All of Warm Heart's fashion accessories are handcrafted by members of our women´s artisan co-ops through our Fair Trade Microenterprise program. We are always open to developing new product lines which can be made by our talented women and sold successfully in an increasingly competitive global marketplace. Learn more about our Sponsor A Design program. Our bestselling collection of elegant wrap bracelets, priced from $25. ​Check out all the new colorways!!! Unique, sturdy tote bags, laptop sleeves and even a lightweight backpack using colorful recycled rice sacks. Prices starting at $19. Specially designed macramé bracelets and necklaces, starting at $18. At Warm Heart we also have a ﻿Children's Homes﻿ program, providing food, clothing, shelter, education, and love for over 45 disadvantaged children. ​Our Project Access program assists impoverished Seniors and Disabled in the poverty-stricken area of Phrao, Thailand. We also focus on Climate Change, sharing current information to help find solutions with our Environmental Program. Our programs are run by Volunteers and funded through sponsorships and donations. Learn more about us at Warm Heart Worldwide. © COPYRIGHT 2016 Fashion Accessories by Warm Heart ALL RIGHTS RESERVED.